On May 5 & 6, Made INLAND is bringing together a handpicked group of Canadian designers – giving consumers the opportunity to touch, feel and try on Canadian products in one convenient location. 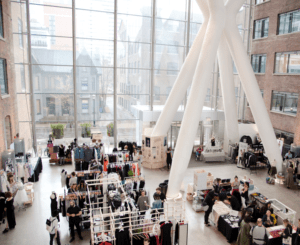 Taking place in the airy, retrofitted QRC at Richmond and Peter, the annual event has become a shop-local fashion frenzy, featuring 70 Canadian fashion and apparel designers. The event also offers the opportunity to meet who made your clothes, operating as a fashion farmers market for those who want to slow it down and support their locals. There’s a TON to see, and we’ve rounded up a few highlights to look out for. Full list here. 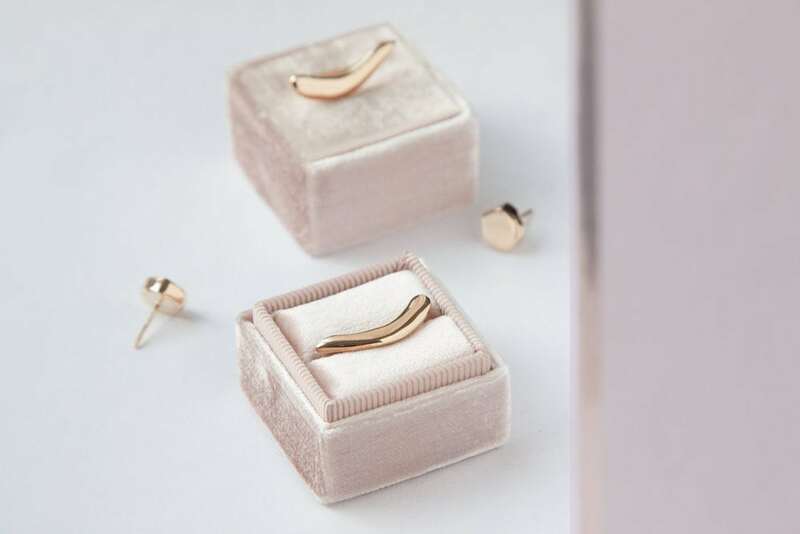 Arc Jewellery caught our attention with their beautiful design work and stunning on-brand photography. 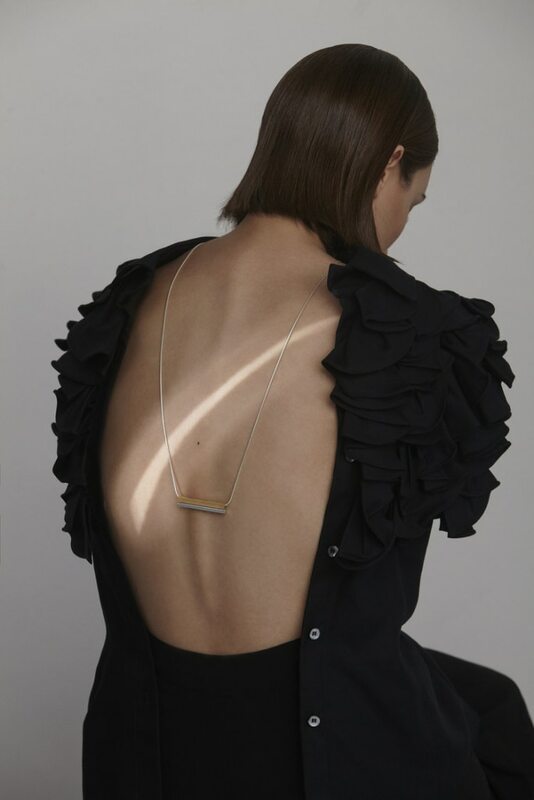 The work is intentionally designed and carefully handcrafted in Montréal by Lina Hu, featuring minimal clean forms designed for the urban contemporary man or woman. This work is for those who gravitate towards understated elegance as a statement. This TFI New Labels finalist has the goods for men and women, and is a not-to-be-missed stop at Made INLAND this weekend. His work is inspired by his experience being raised by immigrant parents, and his SS17 collection explores the tensions between minimalism, clean lines and explosive floral patterns. We first met Anastassia Sel through TFI’s Fashion Your Future competition, and have continued to watch this brand blossom. The namesake designer produces consistent collections that are architectural, minimal and make a statement. A self-professed lover of all things outdoors, she developed keen interest in the elements from which she now draws her inspiration from. Each design is fabricated by hand or wax cast, and is 100% Made-in-Canada. We were absolutely charmed by Peggy Sue at FGI Toronto’s recent ‘Can Fashion Save the World?’ event, where she discussed how her brand is using fashion as a force for good. Every one of Peggy Sue’s textiles begins as raw fiber sourced from a North American farm, spun in a North American Mill and is woven, knit or felted by a North American Artisan. Their cottons are American Organic or upcycled denim, and wools are Canadian. All garments are made locally in here in Toronto. We’re super impressed. PS. She’s a past TFI New Labels winner. Heidi is the president of Matte PR and a mentor with Toronto Fashion Incubator. She’s inspired by brutalist architecture, sculptural fashion, and Giallo films. Influences include John Waters and Yoko Ono.